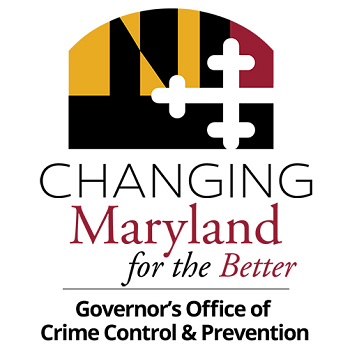 The Governor’s Office of Crime Control and Prevention provided assorted staff-donated household items in support of Tyler Heights Elementary FreeCycle program and presented a Governor’s citation to the organizer of the event yesterday in Annapolis, Maryland. The school serves a diverse population and 89% of their students come from low-income families. The FreeCycle event allows school children and their families to shop for items they may want or need for free. Fueston presented Kimberly Stanger, Reading and Math Interventionist and organizer of the FreeCycle event, with a Governor’s citation to show the administration’s continued appreciation for her work in the Tyler Heights Community. “The annual Freecycle event is a testament to how our work at Tyler Heights transcends beyond the classroom, reaches the community, and is making a positive impact on the lives of our children and families,” said Julia Walsh, Principal of Tyler Heights Elementary. Tyler Heights Elementary serves students in grades PreK through 5, with a focus on academic achievement, nurturing the whole child, and growing potential to eliminate all achievement gaps. The school places an equal importance on parent and community engagement. The FreeCycle program is just one of the ways Tyler Heights is able to assist students and their families in the Annapolis community.